How do I create custom categories? | Falcon Expenses, Inc.
FAQ / How do I create custom categories? 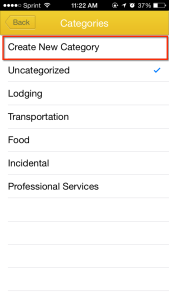 Categories can be used to organize expenses by expense type, such as client meal, incidental, food, hotel, etc. In addition to the categories provided, you can create custom categories. 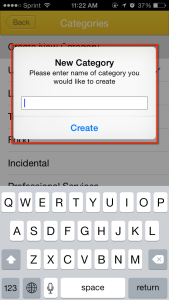 You can create custom tags from any of the expense entry forms (i.e. Enter Expense, Odometer, GPS, Addresses, Log Time, etc.). After you create a category it will remain in your categories list until you delete it, and you can filter your expenses list by tags (see, How do I filter expenses by tag of category?). Below the steps to create custom categories. 1. Tap on the button to the left of the “Category” option (labeled “uncategorized”). After tapping this option a picker will appear. 2. Inside the picker, select the option “Create New Category”. 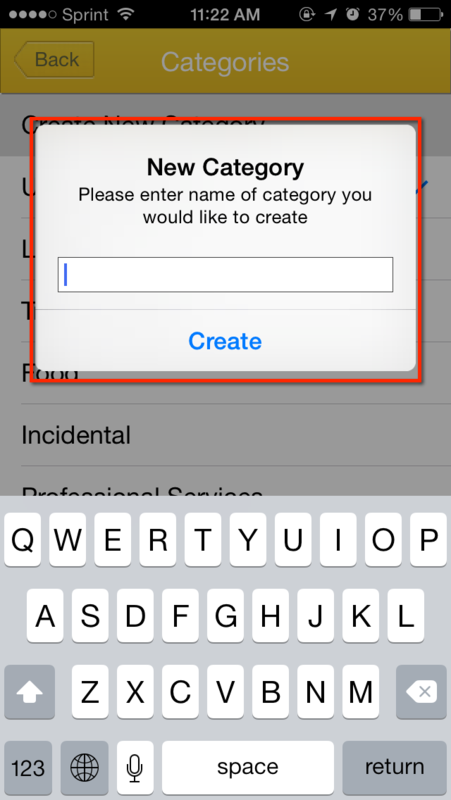 A dialogue box will popup allowing you to enter the name of your new category (see step 3). 3. Enter the name of your new category and select “Create”.